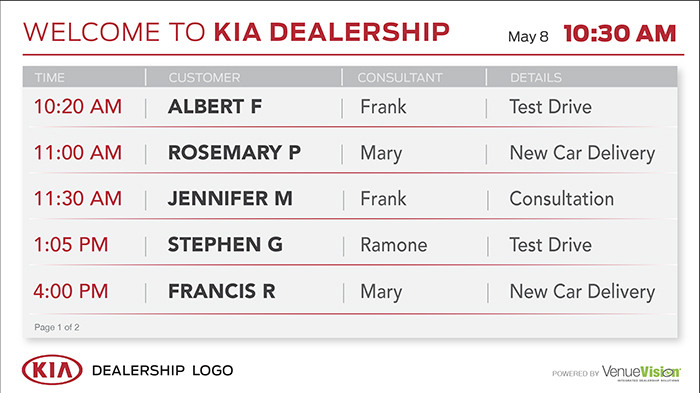 Your dealership-branded dashboards and interfaces are a premium in-store marketing solution. 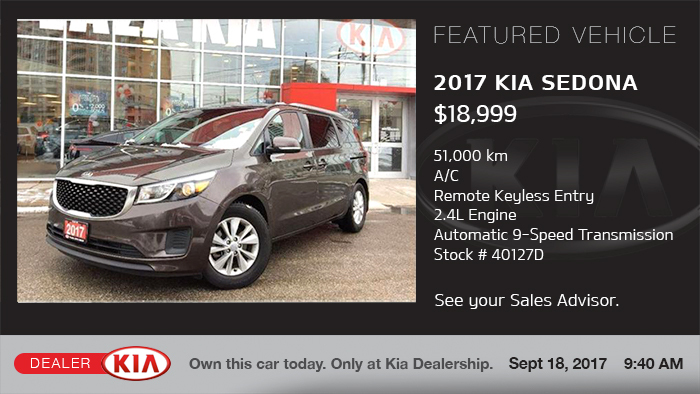 When displayed on strategically placed digital signage, it can help modernize your Kia Dealership and provide an enhanced customer experience. 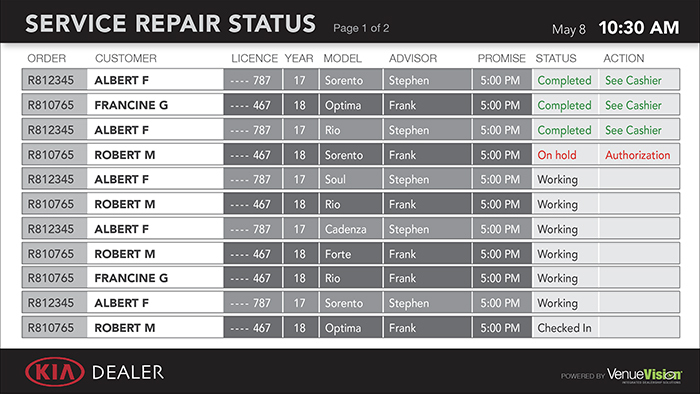 Increase effectiveness by adding DMS integration for Service Appointments, Service Repair Status and Featured Vehicles. 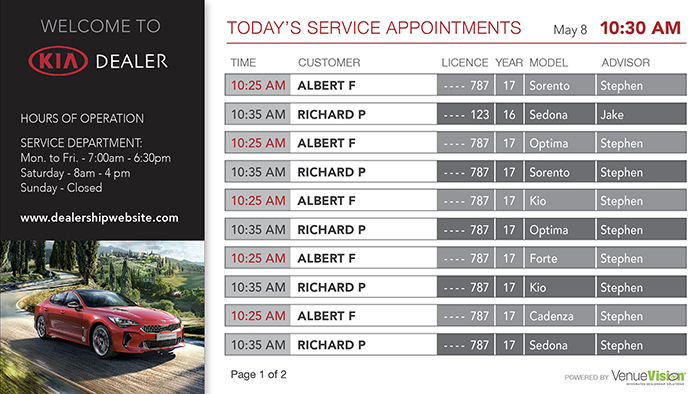 Additionally, you can add customer-controlled portals for Digital Service Menus and Sales Appointments. 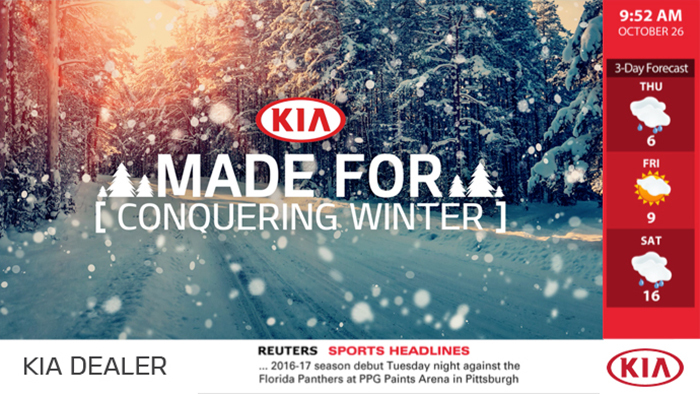 The Kia National Channel consists of Sales, Parts & Service, Accessories, F&I and manufacturer news and innovations. 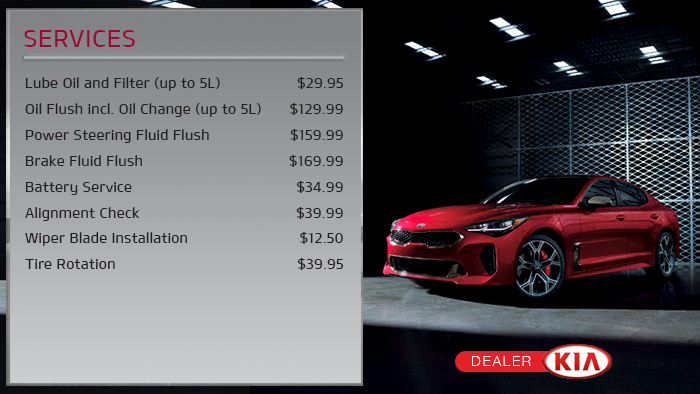 Creatives are in full video format and displayed in HD within a dealer-branded informational interface. We understand your automotive business. Our staff is helpful, creative and best of all experienced.